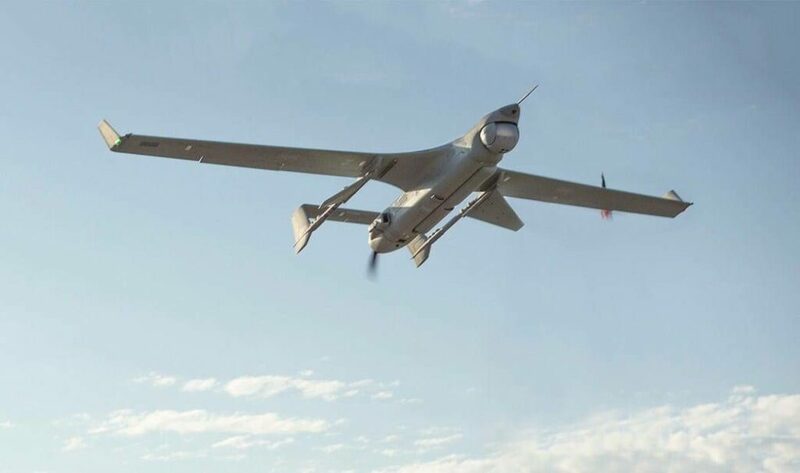 IMSAR has announced that its NSP-5 Synthetic Aperture Radar (SAR) system has been configured for unmanned aircraft systems (UAS) usage and is currently in production as part of a Mission Kit for the RQ-21A Blackjack Program of Record operated by the United States Marine Corps. The payload project, named “Split Aces,” is a Synthetic Aperture/Ground Moving Target Indicator Radar Payload and has been given the prototype designation AN/DPY-2(). The NSP-5 is powered by operationally proven, Ku-band NanoSAR Synthetic Aperture Radar technology, which is housed in a pod with enclosed electronically scanned array antennas. The NSP-5 provides high-resolution SAR imagery, coherent change detection, and ground moving target indication. The NSP-5 delivers high-performance capabilities despite its small size, weight, and power (SWaP) characteristics. Commercially, the NSP-5 is available in a standard pod configuration that measures 5.4 in. (13.7 cm) in diameter and 45.3 in. (115 cm) in length, weighs 16 pounds (7.3 kg), and consumes 150 watts of power.